I bet you’re so sick of reading about cabbage soup that you’d be glad never to see another bowlful of hot, steaming, brothy vegetables ever again. Well, that’s too bad because I’ve got another version for you and this one’s got some Asian flair! 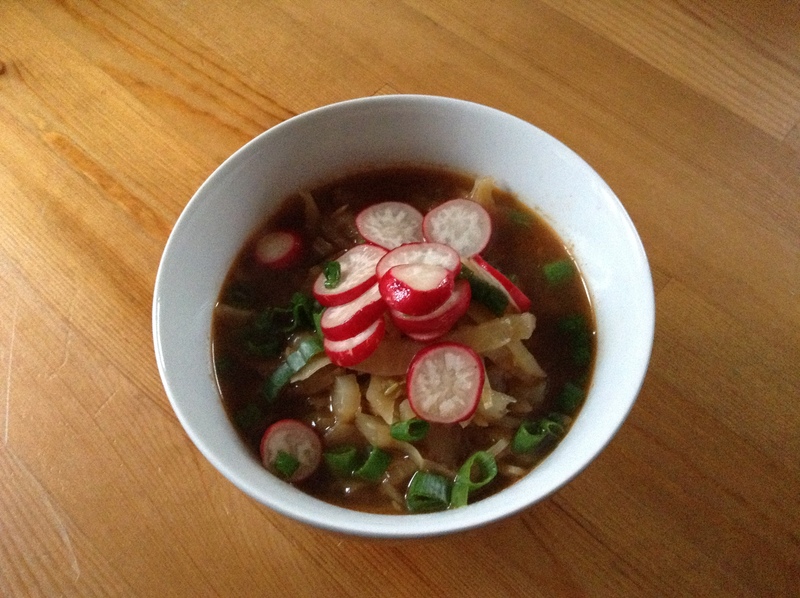 I won’t drone on and on because if you’re interested in cabbage soup, you can read the post on one of my three other versions (Scandinavian/Polish, Mediterranean and Mexican). Needless to say, this followed the same format, except I added ginger, garlic, red chilli, Chinese five spice, ground coriander, hoisin sauce, fish sauce and soy sauce to the broth. 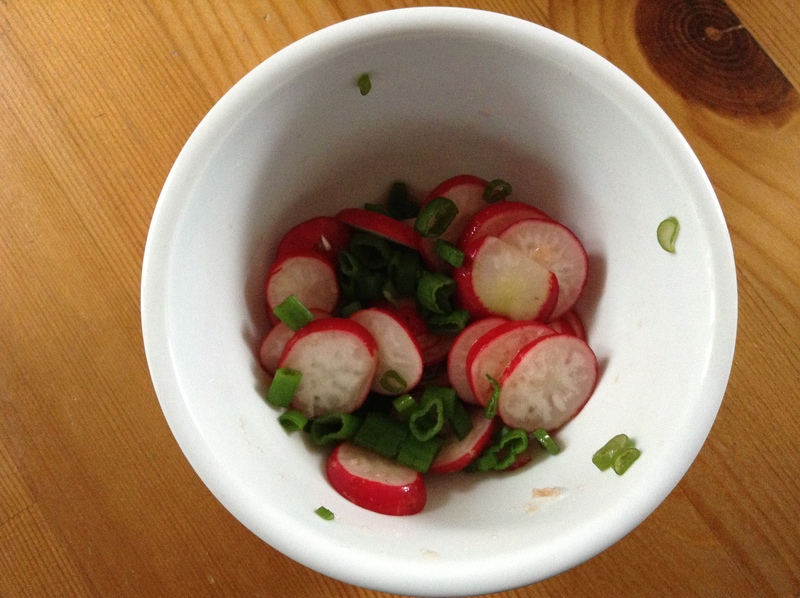 As a topping, I made a quick pickled radish by just tossing sliced radishes with sherry vinegar (I didn’t have any rice wine vinegar, but white wine or cider vinegar would work well, too), sugar, salt and spring onions and let it sit for 15 minutes. This gave a delicious tangy crunch to the hot soup and really distinguished it from a warming winter broth into a light spring/summer soup!